flydubai today announced that it has signed an agreement with CFM International to purchase up to 200 LEAP-1B engines to power Boeing 737 MAX aircraft. 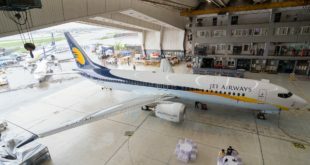 The airline has also ordered 22 CFM56-7BE engines to power up to an additional 11 Boeing Next-Generation 737-800 aircraft. 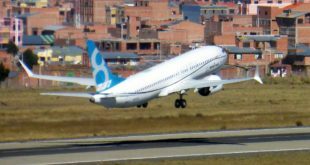 The order is not surprising since CFM International, a 50/50 joint company between Snecma (Safran) and GE Aviation, is the sole engine supplier for the Boeing 737 family of aircraft. This total includes a 10-year Rate per Flight Hour (RPFH) agreement for the LEAP-1B engine, under the terms of which CFM will guarantee maintenance costs on a dollar per engine flight hour basis. This service is also called “Power by the Hour”. flydubai has been a CFM customer since it launched operations in mid-2009 and currently operates a fleet of 33 CFM56-7B-powered Boeing Next-Generation 737 aircraft. 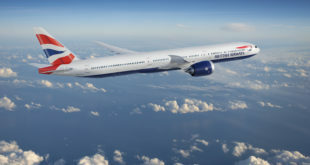 The airline has outstanding deliveries for CFM56-7B-powered aircraft from its 2008 order; these airplanes will be delivered by 2015. CFM recently completed ground testing of the first LEAP engine, accumulation of 310 hours and more than 400 cycles with exceptional results. The first full LEAP-1B engine is currently being built in preparation for the launch of ground testing in mid-2014. 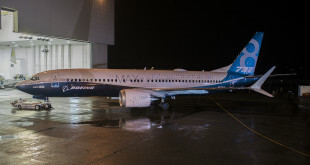 The engine is scheduled for certification in 2016 and entry into service on the 737 MAX aircraft in 2017. All of flydubai’s new CFM56-7B engines are the “E” variant, introduced in 2011. The CFM56-7BE-powered Next-Generation 737 enhanced airplane/engine combination is providing a 2% improvement in fuel consumption, which, in turn, equates to a 2% reduction in carbon emissions. Additionally, the enhanced -7BE engine will provide up to 4% lower maintenance costs, depending on the thrust rating.